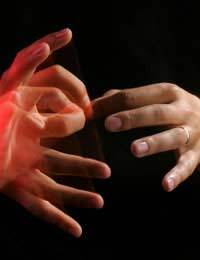 Home > About Sign Language > Who Can Benefit from Sign Language? The question should not so much be who can benefit from sign language but who would not benefit from sign language. Far too many people see sign language as something which is used by deaf people and only used by deaf people and those who need to communicate with them. But in terms of what it has to offer, both in its own right as a language and as a form of learning, it is of invaluable help to a wide range of people from all walks of life. Teachers will always benefit from sign language. Any potential employer will always look favourably on someone who can communicate with the widest range of pupils and this includes pupils who are deaf. And in the job itself, sign language will always come in useful, whether there is a deaf child in the class or not. If there is – and of course, a teacher never knows when any child might come along – then of course, having sign language as a skill is incredibly useful. But even without that, sign language can be used to illustrate all sorts of things to children in a class. It can be used to show them how they can communicate with their bodies and make people feel certain ways by using body language. But it can also be used to show them that people are different and communicate in different ways – both in terms of spoken language and sign language. This can be an invaluable way of teaching young children to be tolerant of different people – something which must be high on any teacher’s agenda. Any language student will know the benefit of knowing more than one language. It is that innate openness to hearing words said in new ways which make being multi-lingual quite so valuable. But this applies to sign language just as much as it applies to spoken language. In fact, a student who is having difficulty with one particular language may want to take a break from it so that they can come back at it with a fresh mind. For this reason, learning sign language can be an excellent way of making sure those language learning skills stay honed while making sure that when you return to the language, you feel fresh and ready to tackle it again. What is one of the main reasons for many people learning a new skill? To meet like-minded people. If you have just moved to a new area, or just want to widen your social circle, one of the best ways of meeting new people who share enough interests with you to become potential friends is to learn a new skill. And learning sign language is no different to any other skill. Go to a college, enrol for a course, and you will find that there are plenty of other people who feel the same way and want to learn sign language because it is a good skill to have. Above all else, sign language is always good to have as a skill. Just as you would with French or Spanish, if you learn it well, it will stay with you forever and, as forever is a long time, you are bound to find plenty of uses for it in the future. A new skill learned is never going to be a wasted skill, even if you have no particular use for it at that moment in time.